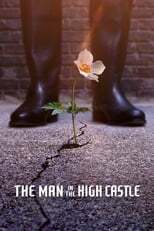 Where can you stream The Man in the High Castle? On 2015-01-15 Drama/Sci-Fi & Fantasy TV Series The Man in the High Castle first aired on Amazon. Written and created by Ridley Scott, and produced by Amazon Studios & Scott Free Productions, The Man in the High Castle will return and was last broadcasted on 2018-10-04.